Tanker manufacture design service, inspection, chassis ADR and SLP conversions. 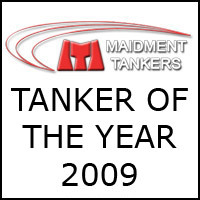 We are specialists in the manufacture of road tanker vehicles for the carriage of fuel oil, water and pressure vacuum tanks for gully cesspit emptiers. Our tankers are built to customers' specifications. We manufacture from mild steel, aluminium and stainless steel to ADR EN13094 standard. Additionally, you can benefit from finite design, inspections, meter and tank calibration services.